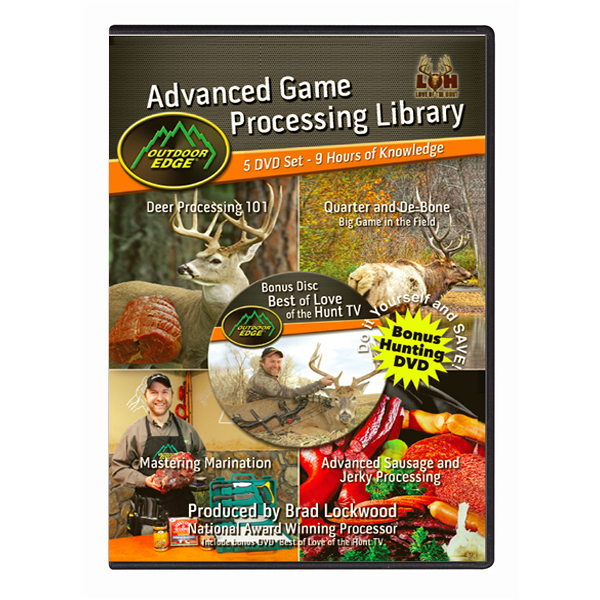 Game Processing Library: 5 Disc Set. 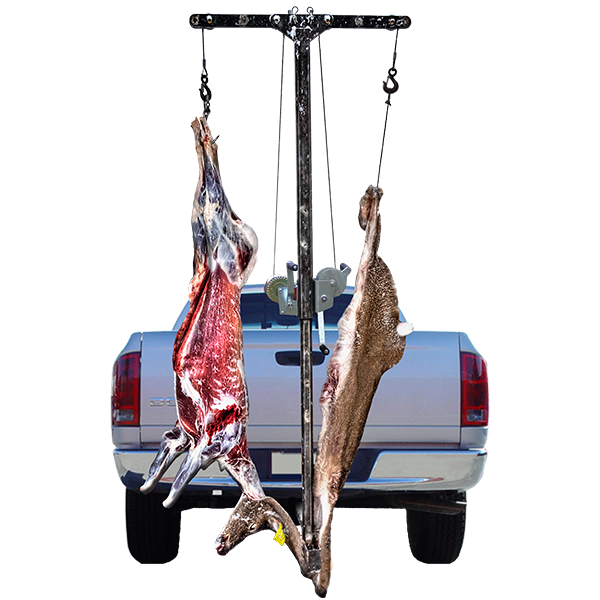 Deer Processing 101: Learn to properly field dress, skin, skull cape, proper aging, quarter and de-bone , define all the primary muscles and the cuts available from each muscle group. Also includes grinding and packaging techniques. Quarter and De-bone Big Game in the Field: A must have DVD for every hunter that pursues big game in remote areas. Learn how to cleanly de-bone each quarter and pack out only the boneless meat, minimize carry weight and maximize yield. Learn to cape big game in the field and skull cape your trophy animal. 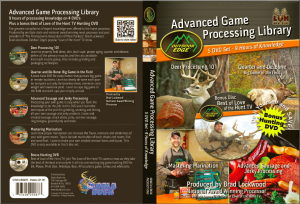 Advanced Sausage and Jerky: Processing your own game is easy when you have the tools and the knowledge to do the job! 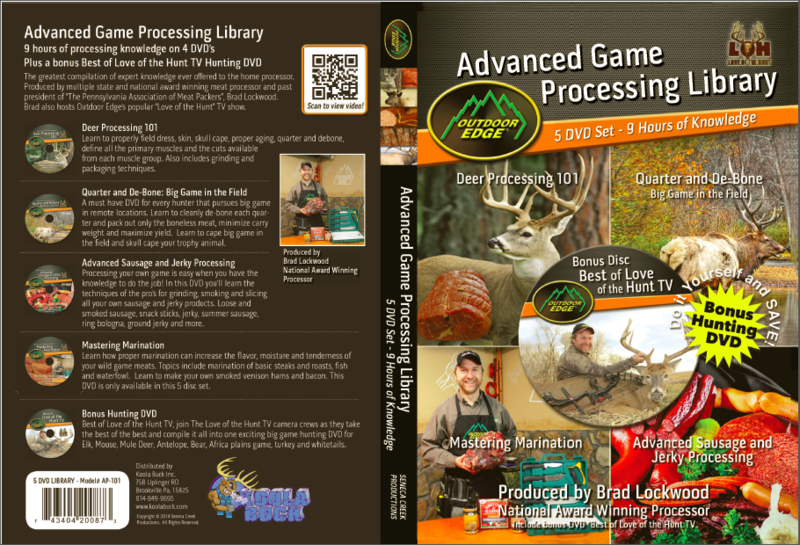 In this DVD you’ll learn the techniques of the pro’s for grinding, smoking, and slicing all your own sausage and jerky products. 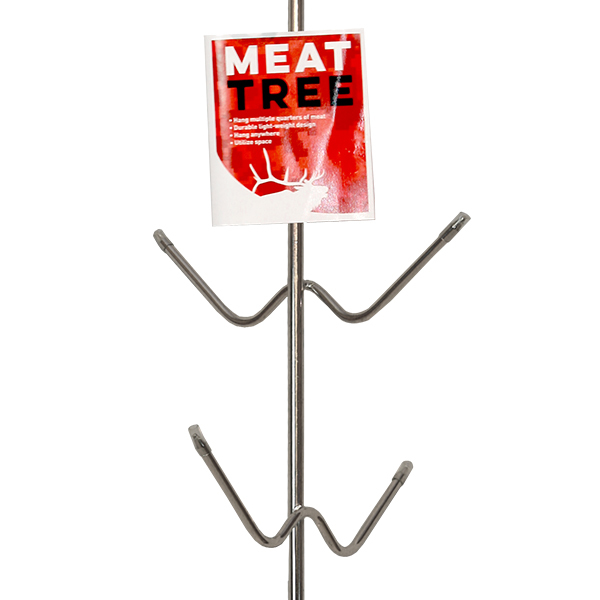 Loose and smoked sausage, snack sticks, jerky, summer sausage, ring bologna, ground jerky and more. Mastering Marination: Learn how marination can increase the flavor, moisture and tenderness of your wild game meats. Topics include marination of basic steaks and roasts, fish, and waterfowl. Learn to make your own smoked venison hams and bacons. This DVD is only available in this five disc set. Bonus Hunting DVD: Join The Love of the Hunt TV camera crews as they hunt elk, moose, mule deer, antelope, bear, Africa plains game, turkey and whitetails.